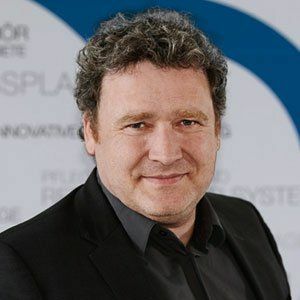 Since the company was founded in 1873, PAPSTAR produces paper plates and cardboard trays based on the renewable raw material wood. 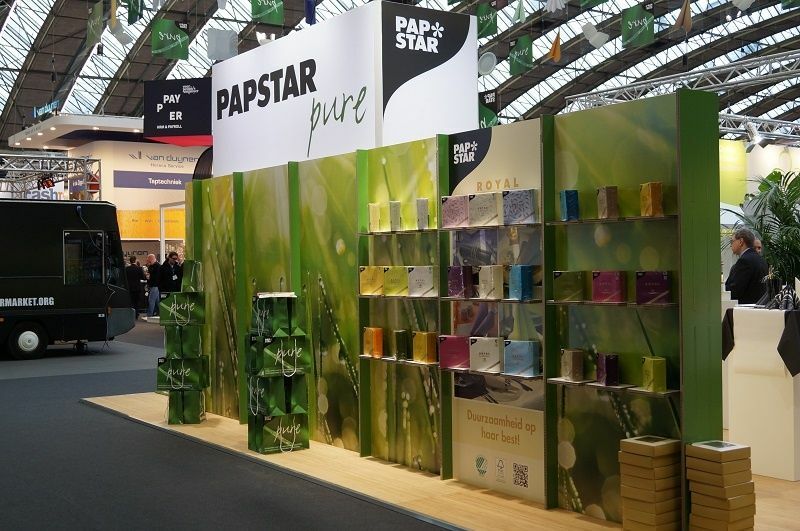 PAPSTAR already used the materials for the exhibition stand in the trade show communication in a familiar area: as the name of the company suggests, the stand was made entirely of cardboard. Thanks to RocketExpo's specially developed plug-in system, this shape of a stand is a true all-rounder. 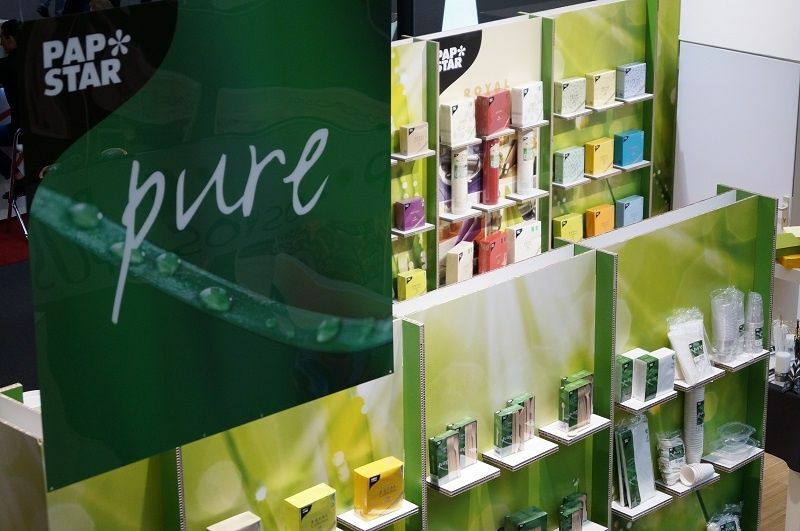 The boards are printable and can be adapted to any theme of a trade show appearance. 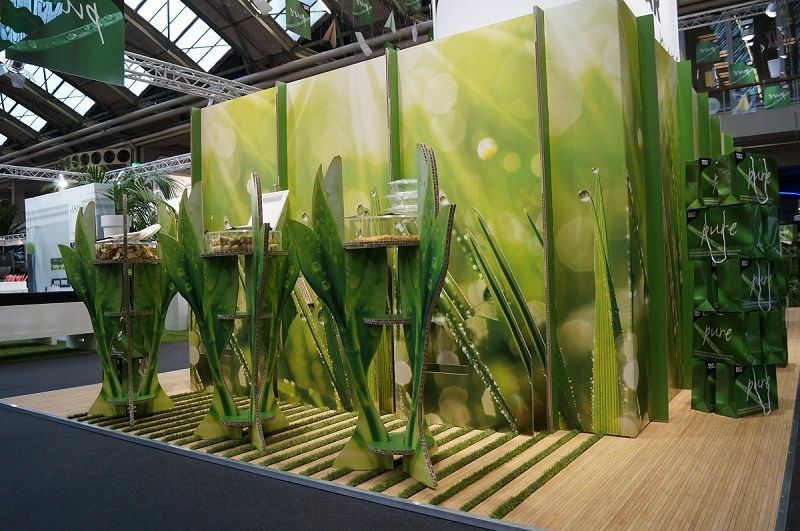 Especially the product presentation of the series PAPSTAR pure - the sustainable disposable articles - fit in well with the exhibition stand concept of the exhibition stand made of environmentally friendly and recyclable materials. The message was clear: Products made from renewable raw materials are a worthwhile alternative to classic disposable items.